 A misalignment of the eyes occurs in nearly 4 out of 100 adults. Most adults with strabismus have had the condition since childhood. However, the misalignment can also begin in adulthood due to a variety of conditions such as diabetes, thyroid disease, brain tumors, and head trauma. Adults with strabismus may notice eye fatigue, double vision, blurred images, a pulling sensation around the eyes, reading difficulty, and loss of depth perception. Adult strabismus is addressed with several methods, including eye muscle exercises, prism glasses, and eye muscle surgery. Eye muscle exercises are particularly useful in a form of adult strabismus in which the eyes cannot align properly for near work. Prisms can be used to eliminate double vision that is associated with a misalignment of the eyes. Prisms work by bending light into a misdirected eye. They can be applied to the outside of the eyeglass frame or incorporated into the lens itself. Eye muscle surgery is the most common treatment for adult strabismus. By loosening, tightening, or repositioning the muscles around the eye, ocular alignment can be restored. This surgery is usually performed under general anesthesia on an outpatient basis. Occasionally, an adjustable suture technique may be used to fine tune the results. Surgery has been found to improve eye alignment, reduce or eliminate double vision, improve binocular functioning, reduce eye fatigue, expand peripheral vision, and improve social and professional opportunities. Oftentimes, adults have been told it's "too late" or "nothing can be done" about strabismus, but this is not true. Ask your ophthalmologist whether you may benefit from treatment.